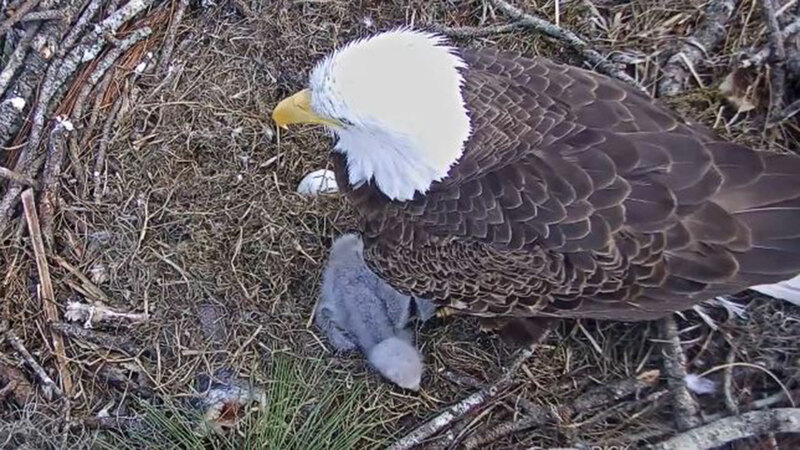 FORT MYERS, Florida (WABC) -- Eagle watch continues in Florida, with thousands of people keeping an eye on a live stream of two American bald eagles named Harriet and M-15 as they wait for their second egg to hatch. The two eaglets have been breaking out of their shells in their nest in Fort Myers, with one making its big debut Saturday. The eggs were laid on Nov. 22 and Nov. 25, according to the Southwest Florida Eagle Cam's Twitter account @SWFLEagleCAM.